If you are looking to cut back on the Easter treats this year, but don't want to spoil the fun, then why not consider adding some inexpensive outdoor fun things to do for some great Easter Gift Ideas? The theme here, is to get the kids outside after that long winter, and what better way to do that, then with some new things to play with. Here are five great ideas that you can add to that chocolate egg, that kids are going to love. As many of the prepackaged Chocolate Eggs are getting more and more expensive, some of these gifts are going to be in the same price range or cheaper. You can fill their basket with fun things to do that will get them outside now that Spring is here. 1. Skipping Rope - Most kids still like to skip, and with the snow melting away, it might be a great time to get those little bodies moving again after the long winter, and get some fresh air and exercise. You can get brightly colored skipping ropes that look good in the Easter basket. 3. Bubbles - You can get large colored bottles of the blowing bubbles, along with the wands, these are fun ideas, as kids love to run through the yard and create lots of bubbles. These can be found in most large discount stores. 4. New Soccer Ball - If you have sports minded kids, this would make a great gift. Who wouldn't want to kick around a new soccer ball, or maybe a baseball glove. It all depends on your budget, but anything to get the kids moving again, and to burn off the sweets they are about to consume! 5. Gardening Kits for Kids - You can get the cutest gardening kits for kids, or even small starter garden kits, to help get your kids interested in the garden this year. Once again, this all depends on your budget, but the theme here is Easter gift ideas that get your kids outside and into that spring air. You don't have to resort to a basket full of candy and chocolate. Yes it is nice to have some treats, but small gifts can get them just as excited and won't make them sick. Age appropriate gifts will be appreciated just as much. With the prices of the Easter treats getting higher, why not consider useable gifts instead this Easter? You don't need to break the bank, you can get many things at the discount stores or even the dollar stores. This way, your kids are not climbing the walls with a total sugar high, and they can turn to the outside to play again after the long winter with their colorful and new spring toys. 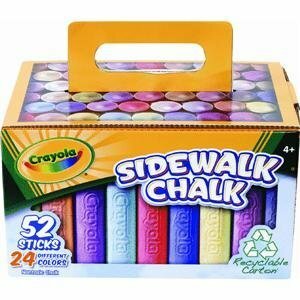 kids love these as gifts.